Inspired to start a new chapter in their culinary legacy, the Trefethen family hired Chris Kennedy Aken in 2017 as winery chef. Having worked on wine club recipe development and other projects over the past 10 years, Chef Aken already had a deep passion for the Trefethen story and their wines. Chef Aken says one of the great things about Trefethen is the garden, from the vegetables to the orchards, and he intends to celebrate the natural deliciousness of their produce with their new food and wine pairing programs launching in mid-2019. 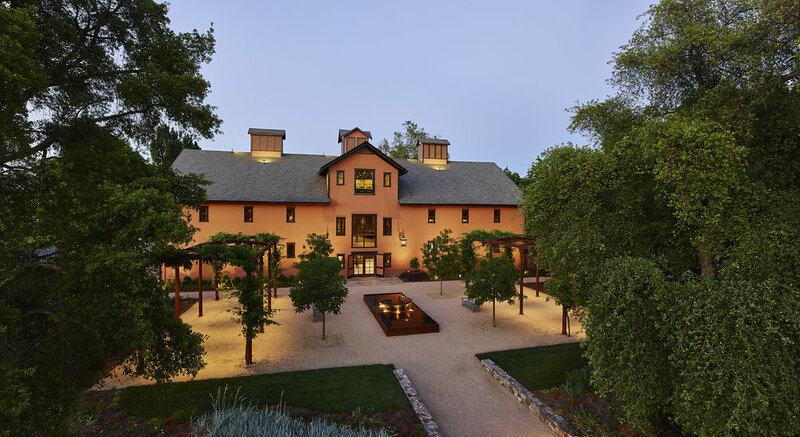 Chef Aken’s will be preparing Estate Golden Beets with Wasabi Pistachios and Yuzu paired with their Estate Riesling at the Taste of Yountville. We cannot wait to get our hands on it! Q: Who are the owners of the winery? Q: Who is the master vintner? Q: How did you get started in the wine industry? A: Bryan started as an intern on our vineyard team as he was fascinated with estate grown wines and with working alongside an iconic family like the Trefethen's. Q: What is one of your favorite varietals to work with and why? A: We grow nine grape varieties on Trefethen's two estate vineyards. Asking me which one is my favorite is like asking a parent which is the favorite child! Q: Is there a fun fact or interesting bit of information about your winery? A: Trefethen has never purchased an outside grape to make our wines. Q: Is there anything you want us to know? A: The winemaker’s two most critical decisions for any given wine are harvest date and press date. When those two decisions are perfectly timed, the winemaker’s job is then to simply let each wine develop its own flavors and nuances, and keep his/her hands out of it. Winemaking is as much about action as it is about restraint. Q: What one of your wines is perfectly paired with a particular food and why? A: Our Dry Riesling is a perfect food wine, it goes well with appetizers and with spicy food. Q: Which celebrity chef would you most like to fix you a meal that would then be paired with your wine? A: Janet Trefethen, as she is an amazing chef and knows which flavors pair perfectly with our wines.